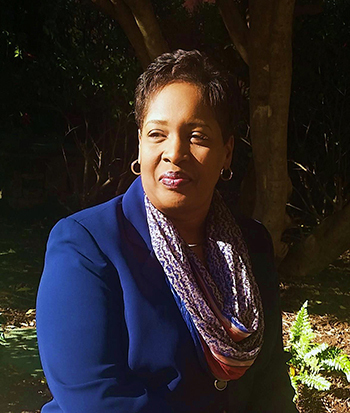 Editor’s note: LaTonya King is the diversity and inclusion director at Duke Energy. She discusses the benefits of an open and inclusive workplace. Some think of diversity in terms of black and white. Isn’t it broader than that? Yes, diversity is much broader than race and gender. Diversity describes the many similarities and differences between people. It includes our internal dimensions, such as race, sexual orientation, gender, culture and age; our external dimensions, such as marital status, parental status, educational background and recreational habits; and our organizational dimensions like job level, seniority, department, work function and work location. Why is diversity important at Duke Energy, and what’s the business case? Our customers, the communities we serve and the talent pools we recruit from are becoming increasingly more diverse. Creating a diverse employee base gives us a high-quality workforce with diverse skills, talents and perspectives, and this leads to increased innovation and creativity. This allows us to better identify, understand and meet our customers’ needs and ultimately drive business results and revenue for our shareholders. Can you explain the difference between diversity and inclusion? Here’s a simple way of looking at it: Diversity is the mix and inclusion is making the mix work. An inclusive work environment is one where everyone is valued, respected and can reach their full potential. This creates a highly engaged workforce. What are some things Duke Energy is doing to develop a more diverse and inclusive environment? We’ve integrated diversity and inclusion into our business practices, which enables leaders and employees at all levels to engage in this work. This includes a focus on diversity and inclusion throughout the entire employee experience. We have diversity recruiting and hiring programs, diversity and inclusion training for leaders and individual contributors, employee development programs for underrepresented groups, grassroots employee involvement via our employee resource groups, and diversity and inclusion councils within various Duke Energy business units and departments. Diversity can be an uncomfortable topic in the workplace. How can we keep the channels of communication open? We’ve built a strong foundation of trust and collaboration at Duke Energy, and we expect employees and leaders to listen with open minds. We know we won’t all see things the same way all the time. But this approach allows us to have healthy dialogue and debate, based on mutual respect. By keeping these basic principles at the forefront, we can keep the channels of communication open. Creating a diverse employee base gives us a high-quality workforce with diverse skills, talents and perspectives, and this leads to increased innovation and creativity.